Mokuloa Honua (Global Center for Indigenous Languages) is located in Hilo, Hawaii. Its mission is to reestablish the prominence of Indigenous language perspectives in modern contexts, in both Indigenous homelands and in a global Indigenous Language movement. As educators, they work from a strong foundation of fluency in mother tongues. Mokuola Honua is a gathering place – both physical and virtual – fostering collaborations on a wide range of Indigenous issues and strategies, all of which are grounded in strong language fluency. The Center’s collaborations bring together those from indigenous communities that have achieved considerable progress in revitalizing and normalizing languages and perspectives, but pay particular attention to budding community initiatives as well. 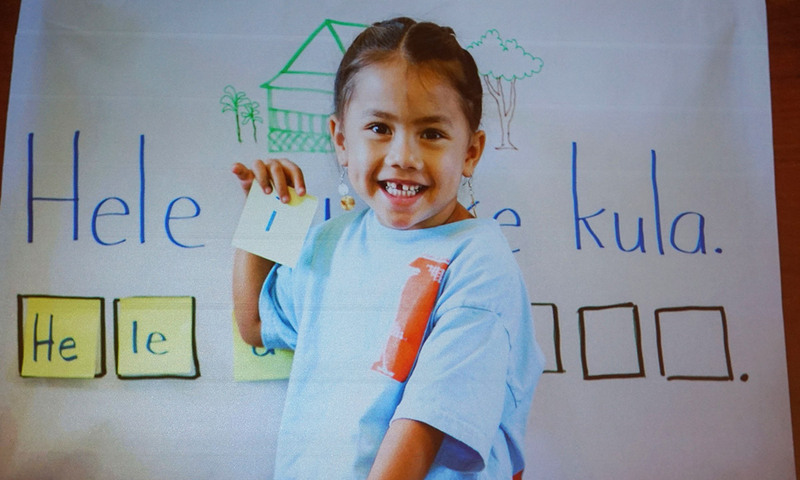 The intent is to perpetuate a traditional understanding of “alakaʻi a hahai” (leading and following) and “kaikaina a kaikuaʻana,” (older siblings nurturing younger siblings). The Center teaches that “we all have the ability and responsibility to lead and follow at the appropriate times, in a manner that promotes efficacious learning and growth.” The Center focuses on research and cross-development of new knowledge, identification of a set of best practices for success in promoting Indigenous perspectives, and duplicability of these best practices by the broadest range of Indigenous communities possible. Mokuola Honua is linked with the A’ha Punana Leo Immersion Network and the Hawaiian Language College at University of Hawaii at Hilo as a holistic cultural and educational family of relationships and institutions.